wood loves fabric, take two! 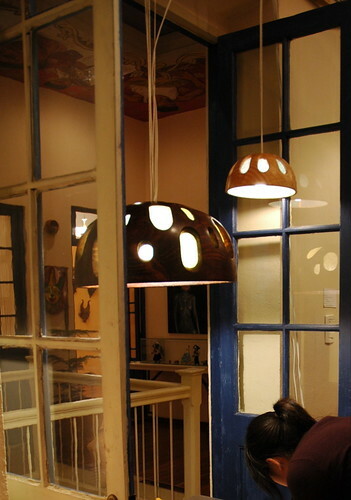 After working with wood and fabric before, I decided to take advantage of the availability of solid wood in Bolivia to create a totally different lamp. 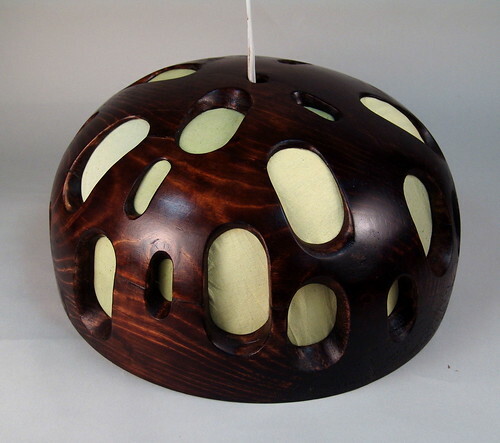 Ivan Franco, a woodworker from La Paz, is the skilled artisan who brought these from drawings to reality. 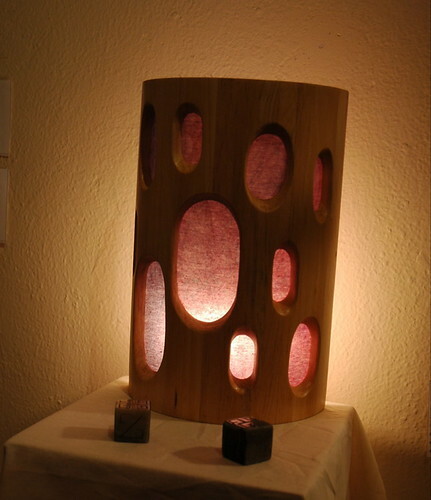 The fabric lining these lamps is linen that I dyed in a subtle color range for each. 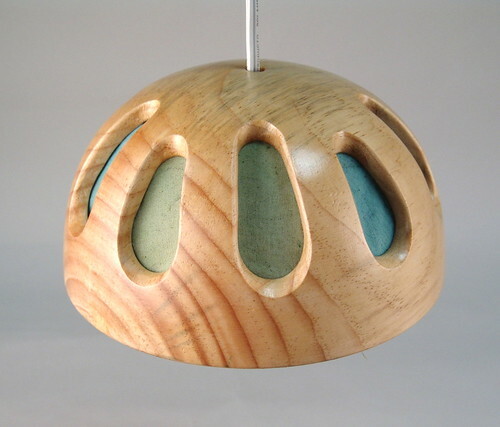 We started with a small prototype, 9.5" diameter in pine. Then Ivan moved on to the full-scale model, approx. 17.5" diameter. This is the largest piece Ivan has turned in his shop. He's made all his equipment by hand, and he's working on another lathe that will allow him to turn large pieces more easily. 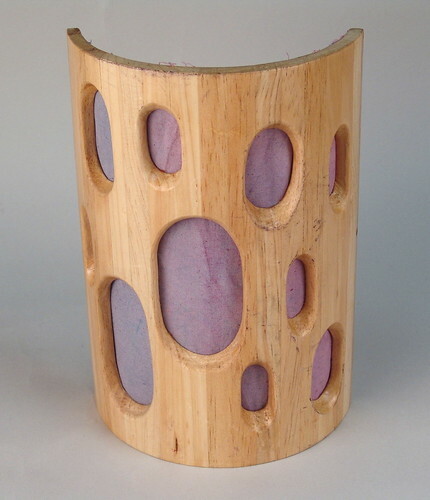 We also made this wall sconce version... pardon the scuffs! This photo was taken after this poor lamp was dragged from bus, to plane, to customs, to plane, and to bus again. 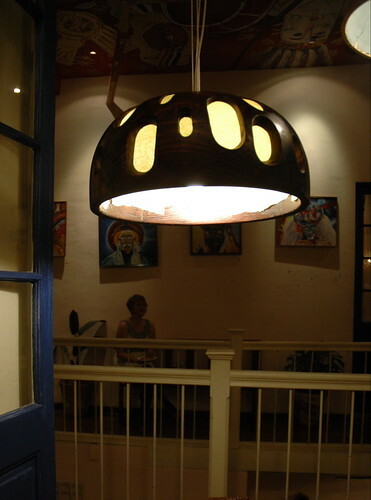 These next three photos show the lamps installed in our exhibition in La Paz.